My neighbor has the most amazing woodwork (baseboard moldings, crown moldings, etc.) in her house. It's been my inspiration for the next project. Our living room is the center of our home...we watch TV in there, read books in there, work on the computer in there, etc. (you get the picture). 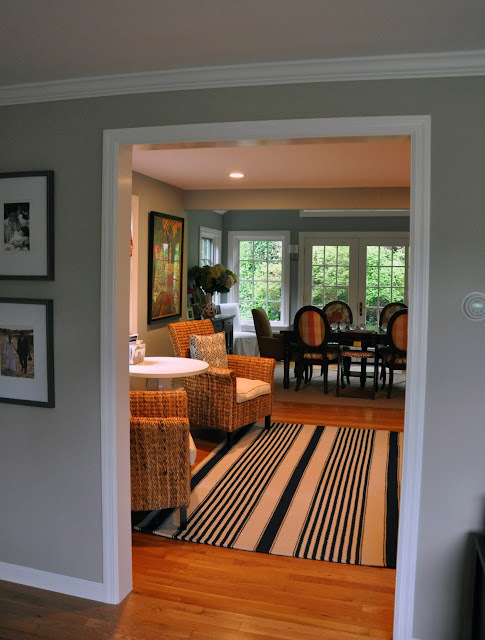 We have two large openings to connect the room to the front entry way and kitchen -- after tackling the mantle and getting more comfortable with the miter saw, we decided to frame out the openings with wood moldings. Who would have thought such a simple project would make such a huge difference...the moldings really finish off the room! 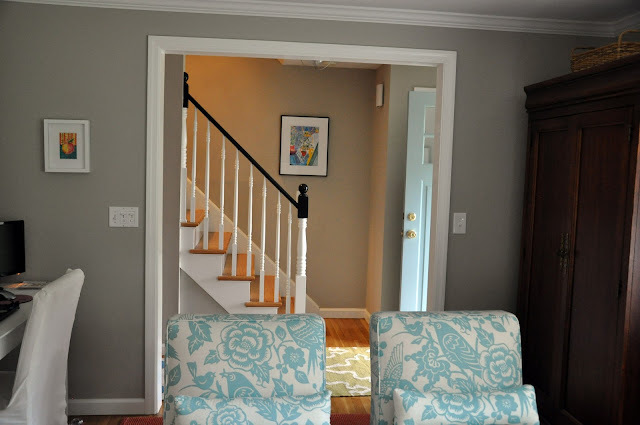 Next project...installing bead board and moldings on the entryway ceiling. Can't wait!